There are a very diverse range of activities to keep you busy while at Undara. Regardless of whether you wish to do it all, or take a more relaxed approach, we have enough to keep you busy for days. 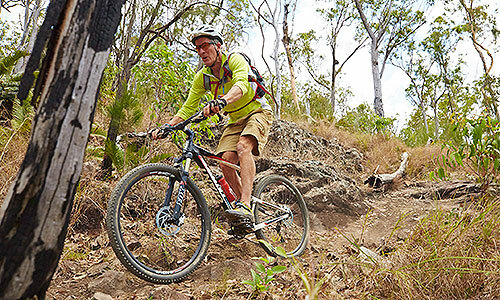 If you’re a keen Bushwalker or Mountain Biker this is a great environment for you. If photography is your interest, there are many beautiful vistas and a huge diversity of local flora and fauna for you to work with. Birdwatchers will delight with the opportunity to identify as many of the local species as possible and maybe even add to our ever expanding bird list. Meander along graded tracks through open savannah woodland and gentle climbs to scenic lookouts with bird and animal watching opportunities. 9 tracks ranging from 1.5km to 12km. All you need is your own Mountain Bike, helmet, protective equipment and your sense of adventure. We supply the opportunity for you to have an awesome experience. Each night after dinner you’re welcome to sit around the campfire and enjoy some country entertainment by our very own Savannah Guides. Walking the tracks around Undara is an experience in itself. 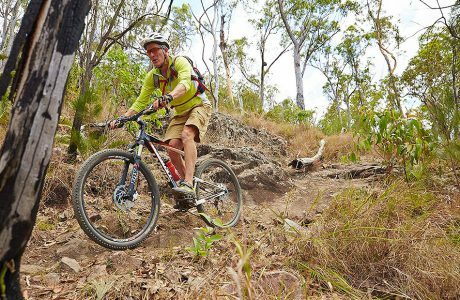 Here’s your chance to really get away from it all along bush trails that lead to spectacular views over the volcanic landscape. We supply a trail map and can tell you where to spot wildflowers and birds. Most of the walks are fairly easy, with a couple of more challenging hikes rewarded by stunning vistas. 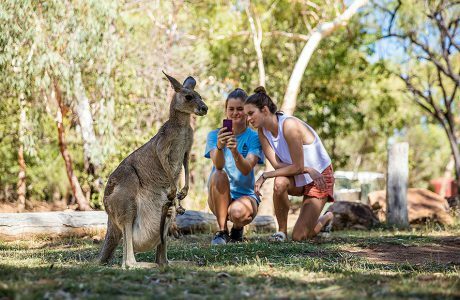 Keep reading to see 2 of our signature walking tracks, but there is plenty more to keep even the most avid bush walker busy. Bluff Walk & Bluff Circuit: The Bluff Walk starts at reception and climbs the small granite knoll SW of the Lodge, take the left fork at the Atkinson’s Lookout Track intersection. Climb through a gentle gully and approach the summit from the west. From the summit you have magnificent views over the wooded lava plains to many of the regions volcanoes. From The Bluff you can return along the same trail to the Lodge or continue on the Bluff Circuit. When this trail meets the Swamp Track, keep left and return to the Lodge along the swamp edge. Kalkani Crater Rim Walk: Starts 13km from the Lodge. Walk up the side of a volcano and along the circuit around its rim. See across the lava plains to other volcanic vents and trace the line of a lava tube from above. Information signs on this track explain the explosive geology of the area including the origins of the variety of volcanoes seen from the walk. Whilst the tracks and trails are mainly used for walking, the majority are perfectly suitable if you’re a keen Mountain Biker. There is certainly enough diversity in the landscape to ensure an enjoyable and challenging ride. All you need is your own Mountain Bike, helmet & protective equipment and your sense of adventure. We supply the opportunity for you to have an awesome experience. The riding tracks at Undara are gentle and easily manageable by most guests. The small climbs to lookouts and bluffs are on graded tracks. Before departing on any ride please register your name with reception staff and advise of your return. Please take a track map, wear a hat, apply sunscreen and take extra water on all rides. Riding on the trails is easy, however the woodland is unforgiving country if you get lost, so if you lose your way, please wait where you are so staff can find you. Flat Rock-Circle View Track: From reception walk down past the Carriages on the path bordered by path lights. The trail then crosses the tour road before arriving at a T-junction. Turn left and head north along the edge of the 100 Mile Swamp. At the next track intersection continue right. Flat Rock is a lovely flat granite rock with some small water holes on top. Along the swamp edge there is often pooled water which is an oasis for small birds. 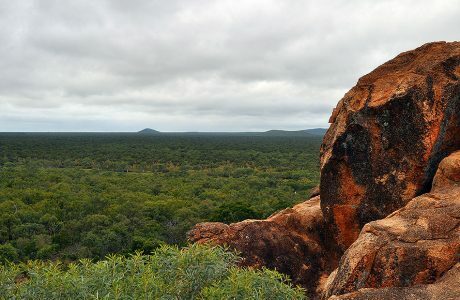 From Flat Rock continue around the swamp edge and climb the granite knoll, Circle View. You will be rewarded by a 360 degree view over the lava plains to the distant volcanic cones. Return to the Lodge on the same trail. Rosella Plains Lookout Track: From reception walk past Bush Breakfast site and along Pioneer Track to the Heritage Hut. Continue in a South Westerly direction along the lowlands. There is a steep track up Cardiac Climb towards Jump Up Lookout, follow 1m high green marker posts. 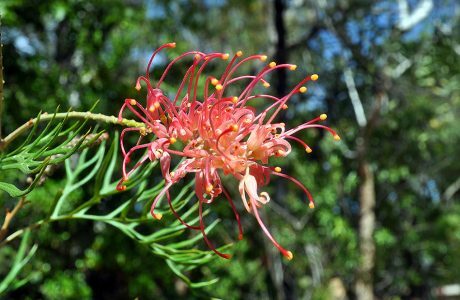 The most Westerly point this walk is Rosella Plains lookout with fantastic views of the province. This is a circular track that will return you to Atkinson’s Lookout Track and then to the Lodge. Each night after dinner you’re welcome to sit around the campfire and enjoy some country entertainment by our very own Savannah Guides. 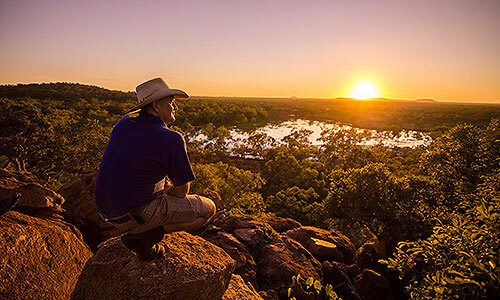 Whether it be a few bush yarns, singing with the guitar, evocative poetry or a talk on the environment you have been enjoying during your time out at Undara, there is something for everyone. 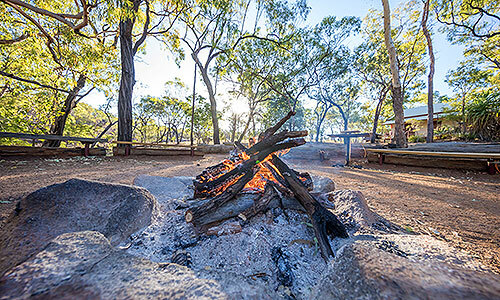 This is a completely free activity for any visitor to the Lodge and kicks off at 8pm each night, just head down to the fire with a drink, take a seat and enjoy the evening’s entertainment.